It has all brought us to a catch where shaving gets rid of hair, but apparently makes it grow faster, as well. In an age where information can spread like wildfire, we have to make sure that we allow accurate and credible data to circulate while leaving misinformation in the gutter – starting with this one. Hair growth is characterized by four (4) distinct phases: anagen, catagen, telogen, and exogen (or early anagen). Anagen is the first phase, and it is the growing period that takes around 3-5 years. The next phase is the catagen phase, and it is relatively quicker than the anagen phase because it only takes place in about 1-2 weeks. 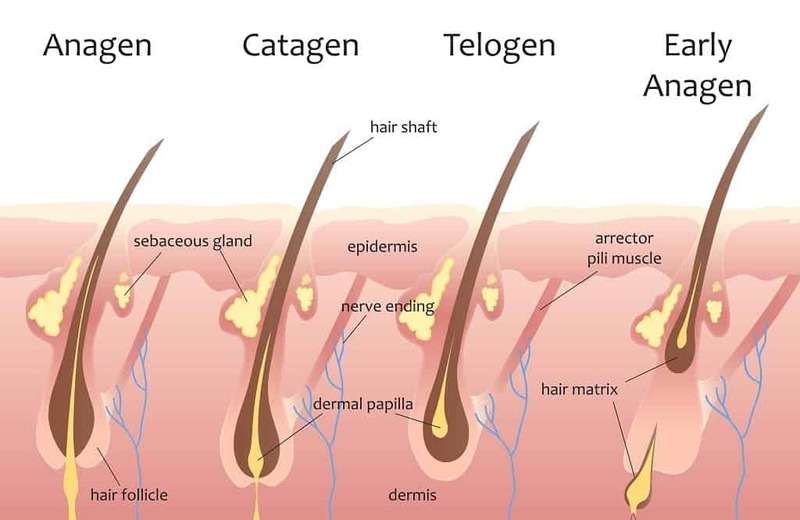 The catagen is the intermediate phase between the growing phase (Anagen) and the resting phase (Telogen). During the catagen phase, portions of the hair follicle deep down start degrading. The degradation of the hair follicle underneath the surface of the scalp also cuts off contact with the blood vessels, essentially cutting off its own source of nutrition. After that, the phase that follows is called the telogen phase – this is when the hair starts to rest. Remember how contact from blood vessels was cut off in catagen? Well, this is the reason why hair stops growing at this point, and in addition, hair thinning also occurs during this stage. The telogen phase takes approximately 3 months to rest, but you might wonder what it’s resting for. There are only two roads hair can take from this point on – either it replenishes itself and springs back up to the anagen phase, or it gets shed off in the last phase: the exogen phase. The exogen phase is basically the shedding off of dead hair, and an average person sheds off about 50-100 hairs a day. This crossroads make sense because if hair only dies after the telogen phase, then that means everyone’s hair has to stop growing at that point. However, since we can see people having long hair, it makes sense that hair keeps growing after a number of cycles between growing and resting. So after all that, do you still think shaving makes hair grow faster? It’s probable that people started thinking of this myth because shaving essentially reverts hair back to the anagen phase, or the growing phase. Imagine that you’ve had a beard for a long time now, and you don’t notice its growth anymore because it has probably started to rest, then you decided to shave it all off. After a few weeks, you will be surprised that your beard has grown by a noticeable amount since you shaved it – this is because it actually re-entered the anagen phase. This time, though, you know that it will just start slowing down again. However, that’s not the only myth about beards that have been floating around. If you want to know the other myths, the internet is a vast and never-ending place – which is why with a simple search, you will undoubtedly find a list of all beard myths online. Use the internet to your advantage in this way, by broadening your horizons and learning about the truth. Now that we’ve debunked a myth on how shaving can make your hair grow faster, let’s get to some ways you can do to actually make your beard grow faster – because while shaving doesn’t work, there are certainly ways that do. Firstly, get rid of stress. 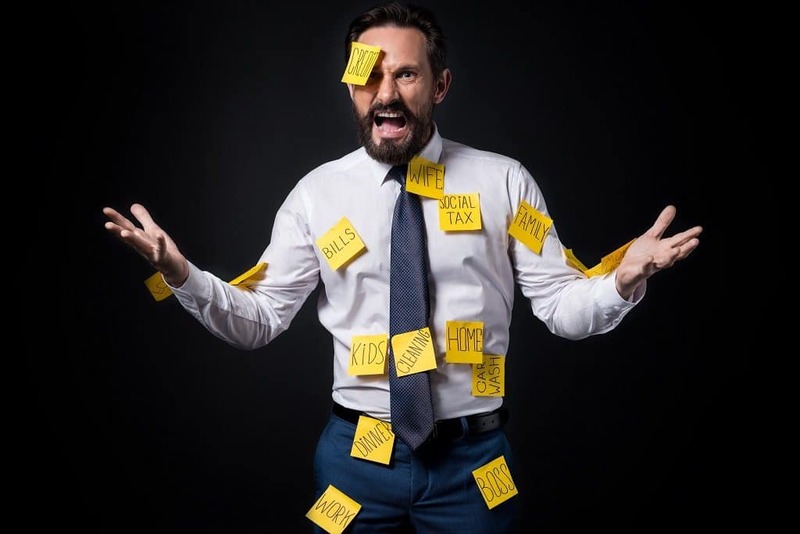 It has been scientifically proven that stress doesn’t do anything positive for your body asides from keeping you on your toes for your survival. Stress is a heavy burden people put on themselves that has proven to have detrimental effects to their bodies. Can you imagine scenarios where people have been so stressed that they can pull out their hair by simply grasping at them? If you want your beard to grow efficiently, then you have to make your body a clean and nourishing environment for growth – this also means that your body is getting the right amount of nutrients it requires. Always make sure that your diet is composed of different nutritional sources like carbohydrates, proteins and fats. Also make sure you are tip-top on your vitamins and minerals – you only need a small amount of vitamins and minerals in your body, but they sure help a lot. Furthermore, exfoliating can also help your beard growth. Making sure your face is clean promotes health in both your skin and hair, and it also helps improve blood circulation – the process behind delivering nutrition to your beard. 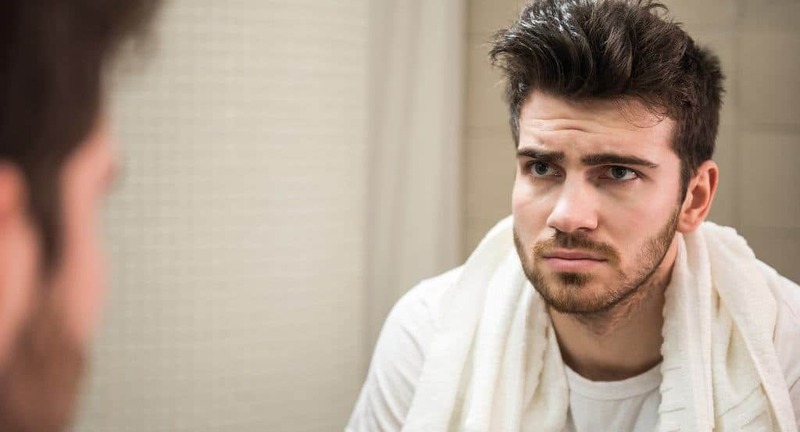 Your beard might be growing fast, but it’s too sparse for your liking – well, despair no more because we bring you tried and tested tips on how to deal with a patchy beard. In other words, how you can grow a thicker beard that would make even Dumbledore proud. The reality of having a really thick beard eludes a lot of guys because they’ll want to trim or shave it at the first sign of itchiness or any uncomfortable feeling. What they fail to realize is that the itchiness that they experience is due to an irritation that occurs as new hair starts to grow and typically goes away within the first four weeks of the process. This is known as the ‘four-week rule’, and if you want your beard to grow, then fight the urge to cut your beard off and groom it better to reduce the itching throughout these first four weeks. This involves brushing it daily, using only the best beard oil and going for weekly hot oil treatments to keep it fresh while you wait for the uncomfortable growing stages to pass. Doing these things will only benefit you and will also make your beard softer. 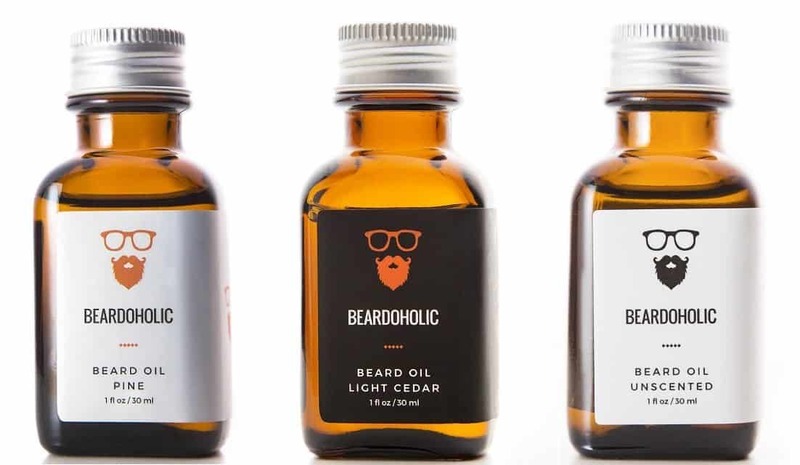 Not only that, if you use the right kinds of oils on your beard, you might even be able to get rid of beardruff, as well – that’s like hitting two birds with one stone. That being said, you’re totally allowed to shave your ‘stache and trim your neck and cheek lines in the meantime. The more you sweat through exercise, the more testosterone you’ll generate, which in turn stimulates new beard hair growth through healthier follicles. Exercise also increases blood flow to your muscles as well as your scalp, while sweating removes toxins to unclog hair follicles and give way to new hair growth. When you stress out, a chemical called ‘cortisol’ is generated by the body in response, and this is bad for your beard growing campaign. For one, cortisol constricts blood vessels, which then reduces the amount of nutrients that make it to your blood in order to grow the hair follicles. Secondly, it prevents the proper development of testosterone, which, as you know, is very good for growing your beard. You can stop stress in its tracks by practicing meditation, eliminating draining and negative people from your life, and most importantly, exercising! This beard vitamin supplement will make your beard grow faster and thicker by strengthening the quality of keratin in the hair, which leads to having an even and healthy-looking beard. Moreover, the best part is that you can easily find it in drug stores for a very affordable price. Consuming foods that are high in essential vitamins and minerals is one of the fastest ways to having a thicker beard – because your beard can only be as healthy as your body is. Vitamin-rich foods like greens, vegetables and lean protein should all be a daily part of your diet as these will definitely boost your testosterone production to promote better hair growth. 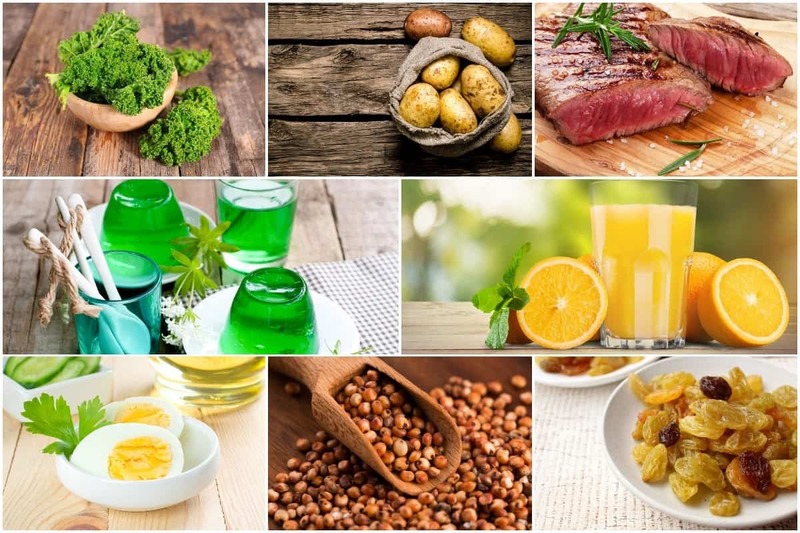 Apart from proteins, particular vitamins to consume include Omega 3 fatty acids, Vitamins, A, C, E, B6, B12 and, as mentioned, Biotin. Getting at least 8 hours of sleep has been proven to reduce stress levels and improve testosterone production to better your chances of having a fuller beard. So, get more sleep, and you’ll soon see the results as your beard will grow stronger and thicker. Although it hasn’t gone mainstream yet, beard transplants are for real and are usually the final resort for men who’ve tried it all. The procedure works by transplanting some hairs from the back of your head onto your chin to fill in those stubborn patches. If you’re considering this option, then keep in mind that it’s not a quick fix and can take up to months before you start to see the results. If you have followed our advice, then you will have a long and full beard – now, your next problem might be on how to style them. Don’t worry, though, because here are some of the beard styles you can choose from. However, if you want a list of some beard styles, you will be able to quickly find it if you click here. If you have trouble with shaving or trimming your beard, all you need is an ultimate beard shaper to make it more easy and convenient for yourself. That concludes our tips on how to grow a beard quicker as well as thicker, and we hope that you’ll take from it what you can and use the knowledge wisely. While practicing these tips, make sure to stay patient as stressing out will only serve to enhance the problem. Also, remember to lead a healthier lifestyle. That includes daily exercise, eating better, getting more sleep, and just taking better care of yourself in general. Not only will this make you wear your beard better, but it’ll improve your overall quality of life, too. Share these tips and information with your friends – sooner or later, you and your friends will have full and long beards in no time. Photo from: [email protected] / depositphotos.com, Lembergvector / depositphotos.com, lekcej / depositphotos.com, TarasMalyarevich / depositphotos.com, feedough / depositphotos.com.